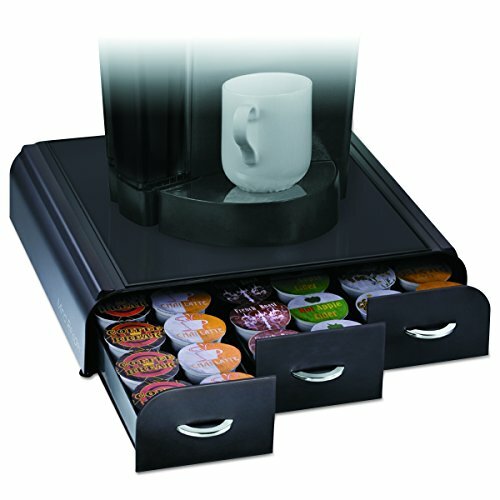 The K-Cup Anchor Is A Versatile Storage System That Will Revolutionize The Way You Store Your K-Cups. The Anchor Boasts A Patent-Pending, Heat-Resistant Panel So That You Can Place Your Coffee Machine Directly On Top Of The Storage Unit, Maximizing Counter Space While Minimizing Mess. If you have any questions about this product by Mind Reader, contact us by completing and submitting the form below. If you are looking for a specif part number, please include it with your message.